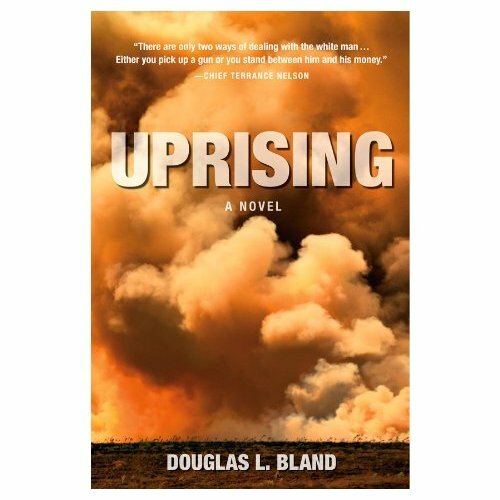 Uprising: A Novel, by Douglas Bland, hardcover, 507 pages published by Blue Butterfly, Jan 19 2010. “Born in 1941, Lieutenant Colonel (retired) Douglas Bland served as an officer for thirty years in operational units and senior operational staff appointments in the Canadian Forces. For more than a dozen years since then, as a professor in the School of Policy Studies at Queen’s University in Kingston, where he lives, he has held the Chair in Defence Studies. Over the years, as author and editor of seven books and scores of monographs and learned articles in professional journals, Douglas Bland emerged as one of Canada’s most respected scholars and commentators on national and international defence and security affairs. Often this led to a role in raising the awareness of policy-makers. He became a frequent witness before both Senate of Canada and House of Commons committees, and has served as an advisor to senior Canadian politicians, including former Prime Minister Paul Martin. Now, with Uprising, Bland’s audience is wider, his message more urgent. “A root cause of terrorism in far-away countries, Canadians are told, is poor, desperate young people who turn their frustrations and anger on their "rich oppressors." Uprising brings this scenario home to Canada. When impoverished, disheartened, poorly educated, but well-armed aboriginal young people find a modern revolutionary leader in the tradition of 1880s rebellion leader Louis Riel, they rally with a battle cry "Take Back the Land!" Theirs is a fight to right the wrongs inflicted on them by "the white settlers." They know their minority force cannot take on all Canada. They don't need to. A surprise attack on the nation's most vulnerable assets, its abundant energy resources, sends the Canadian Armed Forces scrambling and politicians reeling. Over a few tension-filled days as the battles rage, the frantic prime minister can only watch as the insurrection paralyzes the country. But when energy-dependent Americans discover the southward flow of Canadian hydroelectricity, oil, and natural gas is halted, they do not remain passive. Although none of Canada's leaders saw it coming, the shattering consequences unfold with the same plausible harmony by which quiet aboriginal protests decades ago became the eerie premonitions of today's stand-offs and "days of action." Given current events, the book, printed two years ago, is receiving increased attention. It would not be uncharitable to say that Professor Bland's lack of experience writing fiction is on display in this book. The poor pacing of the book and his inability to write believable characters is a handicap to enjoyment. At the same time the book is interesting. The Author has something he thinks is important to say and he gets his message across. In fact there are several messages here, one is about a growing youthful disenfranchised native population could become a “security concern”. Security concerns in this case more like the Arab Spring then Quebec’s Red Square student protests. It is, as current events show, a timely subject. The other message is a warning about the consequences of a weak military and a Government unable or unwilling to use it appropriately. It is here that I think Professor Bland’s sermon has reached excessive proportions. In what might be called the “post Afghanistan” era of Canadian military affairs Canadians of all stripes, including politicians, are much clearer on the capabilities of the Armed Forces. More over, as one who can remember the troop trucks rolling down Cathcart Street in Montreal during the October Crises, I can assure Professor Bland that a successful Canadian politician is capable of holding on to power with a grim determination that would make President Assad of Syria look like Mother Teresa. The end of Uprising finds the Canadian Government and nation essentially drifting apart under the twin blows of Native revolt and U.S. military intervention. This too seems like an unlikely scenario. The author underestimates the ability of a large well entrenched bureaucracy, such as the federal civil service, to continue functioning under almost any circumstances, even an absence of government. The other thing he forgets is just how strong the idea of Canada is in some parts of the country. Shortly after finishing the novel I found myself walking past the War Memorial in front of the British Columbia legislature. In the background, behind that suspiciously tidy but still tough looking First World War soldier, flew a large Canadian maple leaf flag and I was reminded that most of us do not identify ourselves as “British Colombians” or “Maritimers” first, instead we think of ourselves as Canadians. It was reassuring, after reading the apocalyptic ending to Uprising, to realize that Canada is more then just Ottawa, or a region, but rather an idea that will not go away.